Do you ever feel lost? Don’t lose your focus! 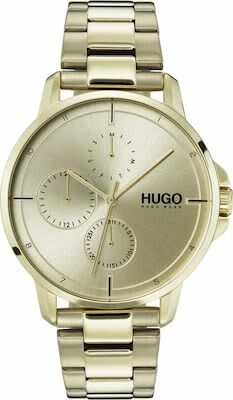 The HUGO FOCUS timepiece combines aesthetics with function to offer a uniquely precise watch. Multifunctional chronometers are embedded in the dial offering functions such as Day, Date and 24-hour counters. 2-year international warranty. Water resistant to 3 ATM. 44 mm case.